Whether you seek the visual thrill of an extraordinary piece of art, or the introspection that can come from a thought-provoking creation, sculpture is one of the finest crafts in the artistic world. Here, we run through five of the best sculpture parks around the UK, and discus what makes them so unique. Starting with perhaps the most well-known park in the country, the grounds around Bretton Hall have played host to many different collections for over 40 years. The undulating 500-acre landscape is punctuated by special events, where you can get involved with things like yoga and meditation, all the while getting up close to new and exciting exhibitions. 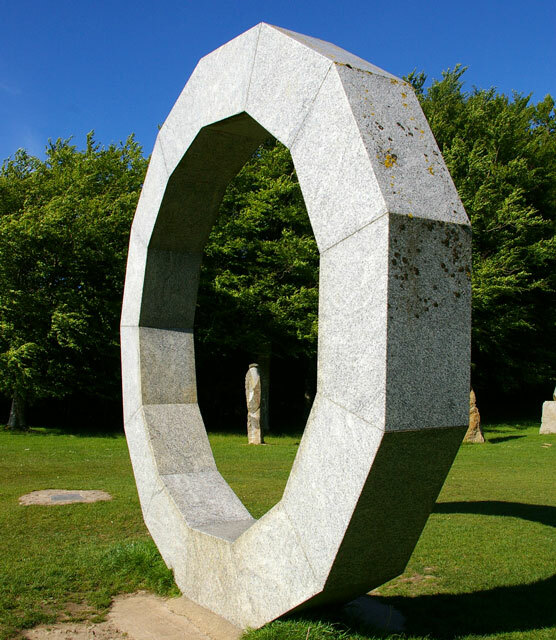 Right at the top of the list when it comes to the best sculpture park UK art fans can hope to visit, it’s less than 20 miles from Jurys Inn Bradford, so start planning your trip now. Set in the beautiful grounds of Roche Court, a 19th century house that sits in sweeping parkland near Salisbury, most of the works of art on display across this large sculpture park are for sale. Founded in 1958, notable artists including William Turnbull, Antony Gormley, Richard Deacon and Anthony Caro have shown their work here in recent times, and you can head indoors to browse the gallery after you’ve had your fill of the sculptures and vistas outside. Start planning your trip with Jurys Inn Southampton; it’s just over 20 miles to Wilshire’s New Art Centre. This celebration of imagination has put a completely new spin on a piece of land that seemed doomed to ruin. Tout Quarry is stunningly set on the picturesque Isle of Portland. Just off the Dorset coast from Weymouth, the abandoned quarry became a park and nature reserve in 1983. Protecting the Portland stone from further extraction, you’ll find a unique set of sculptures including things like fallen fossils and animal carvings, while there are workshops where you can learn how to fashion your own masterpiece. If you’re staying at Jurys Inn Exeter, Tout Quarry is around 60 miles from our hotel. If you love being in the great outdoors and to combine your artistic pursuits with a bit of exercise, this is the place for you. Take to the forest trail which loops around a scenic lake for 27 miles, stopping to take in the 22 sculptures that are scattered along the route. If you prefer to take things a little easier, the sculptures tend to be grouped together, so you can drive from site to site using a tourist map to see the best of the bunch. 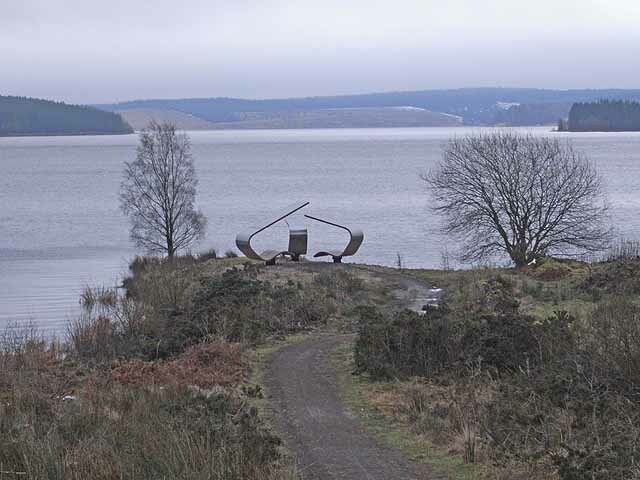 Nestled along the Scottish border, the Kielder Water and Forest Park is just over 50 miles from our Jurys Inn Newcastle Quayside hotel. 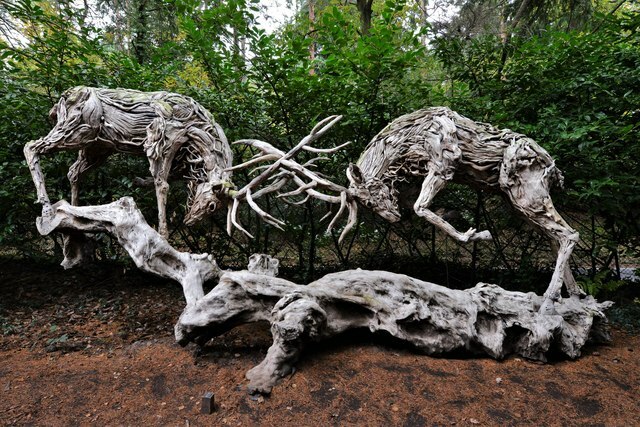 We end with one of the biggest and most varied sculpture collections the UK has to offer. With more than 800 ever-changing works of art spread across ten acres of beautiful gardens full of wildlife, you can purchase pieces from over 500 sculptors at the park. Up-and-coming stars of the sculptural genre sit alongside established names, with the eclectic blend of styles, materials and designs all enhanced by the delightful setting, including some beautiful lakes. Around 40 miles from Jurys Inn London Croydon, a trip to this lovely spot is the perfect way to complement your visit to the English capital.